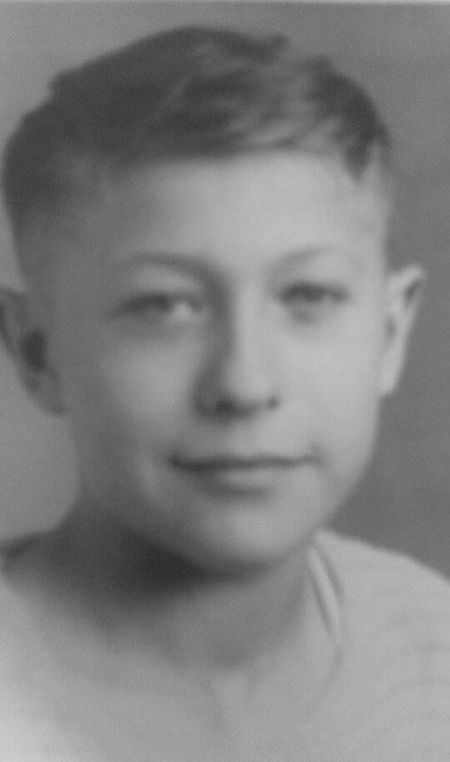 Born Winfield Scott Moore III on December 27, 1931 at home on a farm 5 miles from Gadsden and 5 miles from Humboldt Tennessee the youngest by 14 years of a family of 4 boys. Began playing guitar at the age of 8 learning from family and friends. 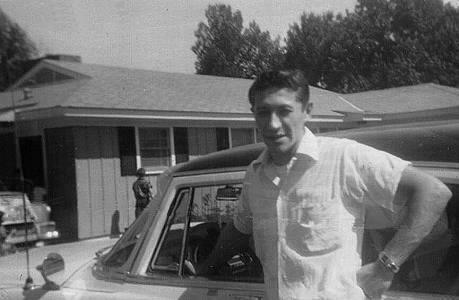 Enlisted in the Navy in 1948 at the age of 16 (below the minimum age), serving in China aboard the USS LST-855 and Korea aboard the USS Valley Forge. Discharged in January of 1952. 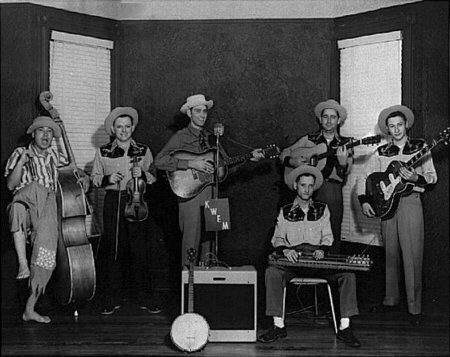 By 1954 while living and working in Memphis formed a country band, "The Starlite Wranglers", with bassist Bill Black and began working with Sam Phillips at Sun Records. 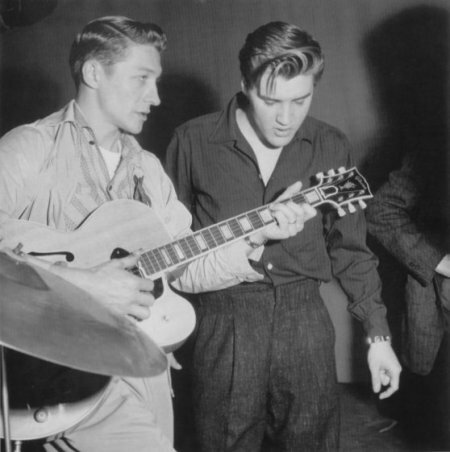 In July of 1954 at the request of Sam Phillips auditioned a young singer, Elvis Presley, recommended by Sam’s secretary Marion Keisker. 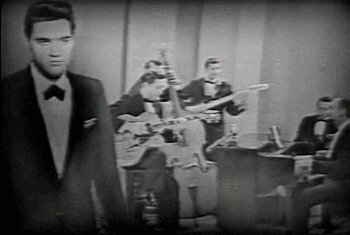 This audition yielded the recording "That’s Alright Mama" and began a 14 year career as Elvis Presley’s guitarist, his first manager and a lifelong friendship (not to mention ushered in an era that would forever change the face of American popular music). 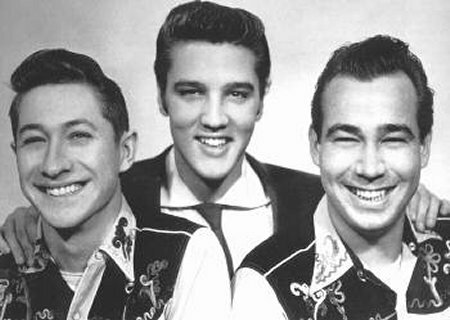 Toured and recorded throughout the country with the Blue Moon Boys (Elvis, Bill and eventually drummer DJ Fontana) appearing on record, Television and Motion pictures until 1958. 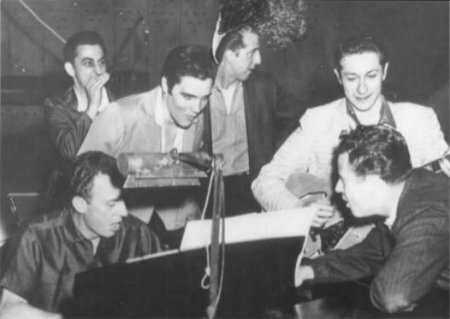 Hoyt Hawkins, George Klein, Elvis, D. J. Fontana, Scotty and ? 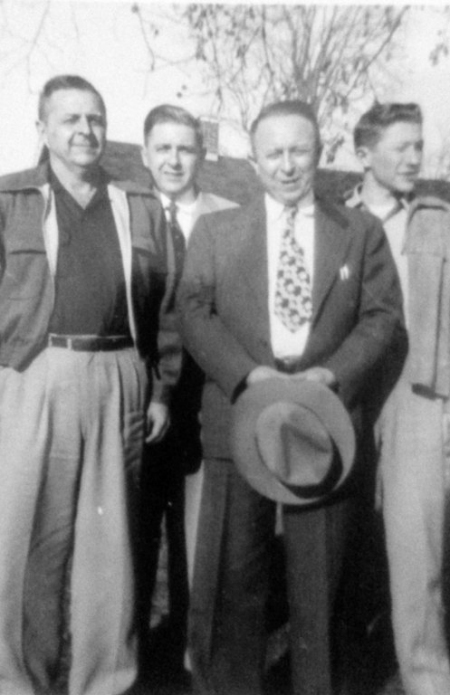 In 1958 bought interests in and became V.P. 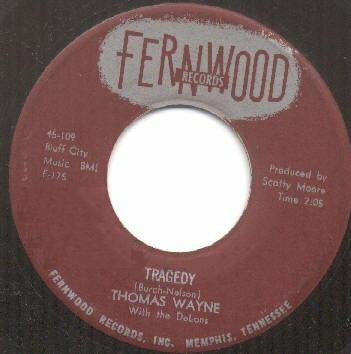 of Fernwood records and produced a hit record, "Tragedy", for Thomas Wayne Perkins, brother of Johnny Cash guitarist, Luther Perkins. 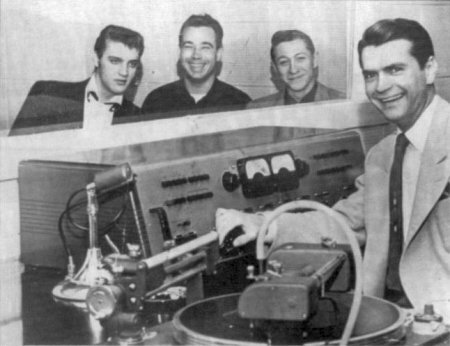 In 1960 commenced recording sessions with Elvis at RCA and also served as production manager at Sam Phillips Recording Service which involved supervising all aspects of studio operation. In 1964 released a record of instrumentals called "The Guitar that Changed the World" and relocated to Nashville to start Music City Recorders, a studio on 19th avenue just off Music Row, and started Belle Meade Records. 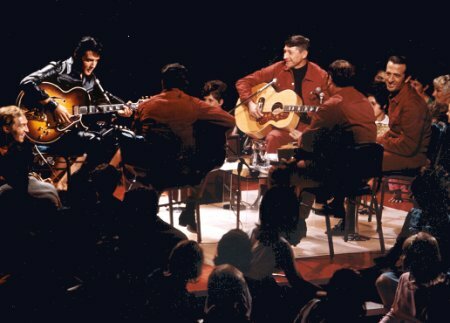 In 1968 appeared and recorded with Elvis for the last time for the NBC TV special at NBC’s Burbank studios in California. In 1970 engineered Ringo Star’s album "Beaucoup of Blues" at Music City Recorders becoming the only person to work for the two most influential independent labels in record history: Sun Records and Apple Records. 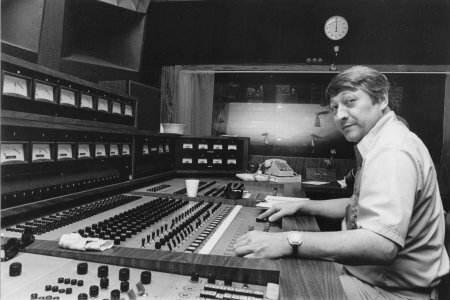 In 1973 sold Music City Recorders and began freelance engineering primarily out of Monument Studios. 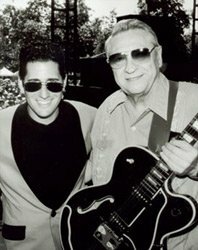 In 1975 played and recorded with longtime friend Carl Perkins for the first time on Carl’s "EP Express" for Mercury Records. In 1976 bought the building where Monument studios was housed and opened Independent Producers Corporation, a tape-duplication business, but continued to do freelance engineering. From the mid 70’s to early 80’s engineered many television shows for Opryland Productions with and for entertainers such as Dolly Parton, Carol Burnett, Ann-Margret, Bob Hope, Perry Como, Minnie Pearl, Johnny Cash, Jerry Lee Lewis, Joey Heatherton and others. 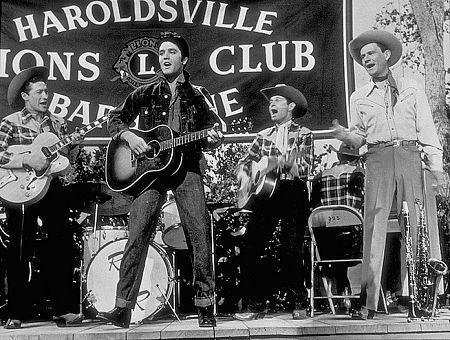 In 1989 served as a consultant for a weekly ABC-TV series titled "Elvis" focusing on the early years. 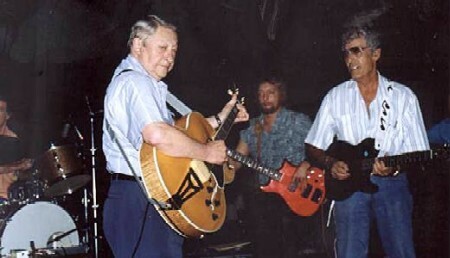 In 1992 returned to Sun Studio in Memphis to begin an album with Carl Perkins titled "706 ReUnion: A sentimental Journey" released on Belle Meade Records. 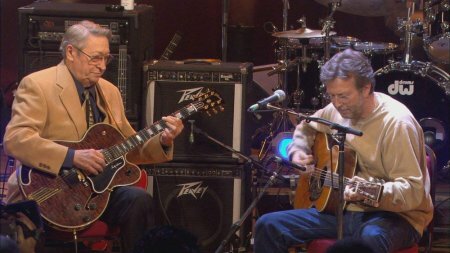 In August performed live again for the first time since the 68 Comeback special with Carl at Ellis Auditorium as part of the "Good Rockin’ Tonight" show featuring the Sun Rhythm section, James Burton, D.J. 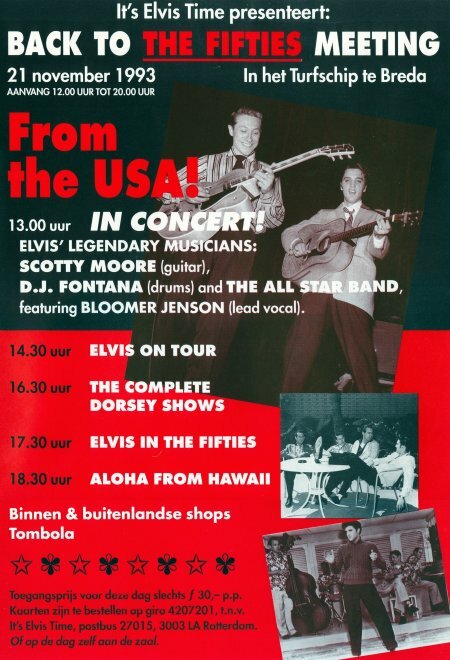 Fontana, Ronnie McDowell and the Jordanaires followed by a small tour in England. 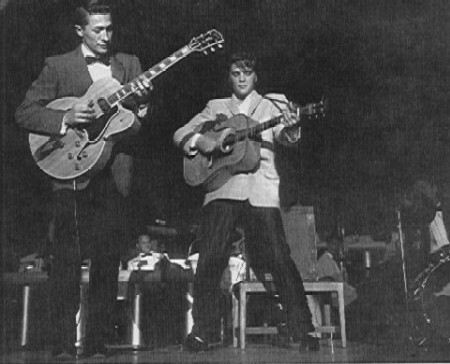 In 1993, with D.J., appeared in a Telethon in Jackson, Tennessee with Carl Perkins. 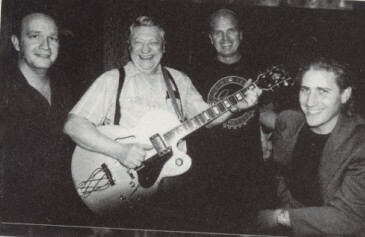 Later that year in response to a letter from Mike Eldred, guitarist for Lee Rocker’s band Big Blue, traveled to Memphis to meet and record with them. In 1994 played on a session at the request of and produced by Gary Tallent, bass player for Bruce Springsteen’s E St. 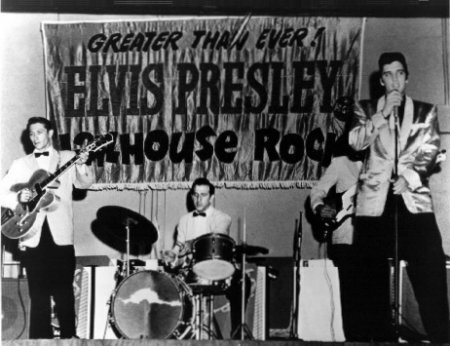 Band with Sonny Burgess and in October appeared in a pay-per-view Elvis Tribute at the Pyramid Arena in Memphis (click for pictures). 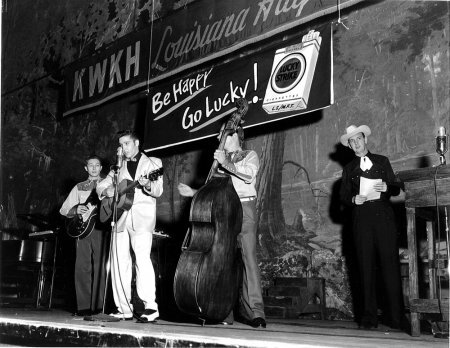 On October 16 appeared agin with Carl and Ronnie in Shreveport to commemorate the 40th anniversary of their first Louisiana Hayride appearance. 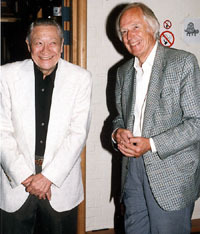 In 1997 reunited with D.J. 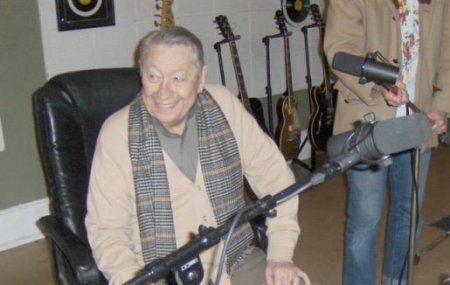 Fontana to record the tribute album "All the King's Men" which featured several guest artists including The Bill Black Combo, Keith Richards, Ron Wood, Jeff Beck, Levon Helm, Jim Weider, Rick Neilson and others (see Goin Back To Memphis, Unsung Heroes and Duece and a Quarter for more pics). In April of 1999 toured again in the UK with DJ. 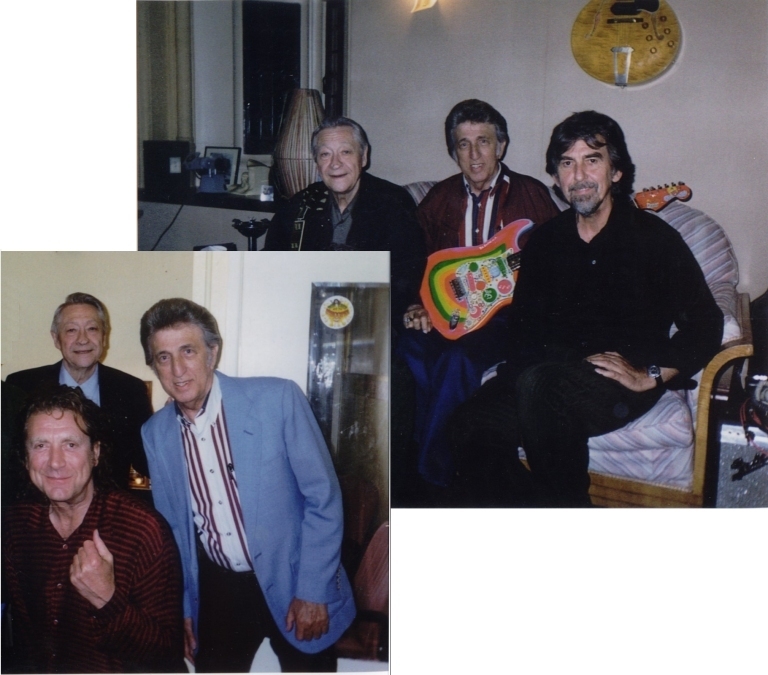 and met George Harrison and Robert Plant while there. 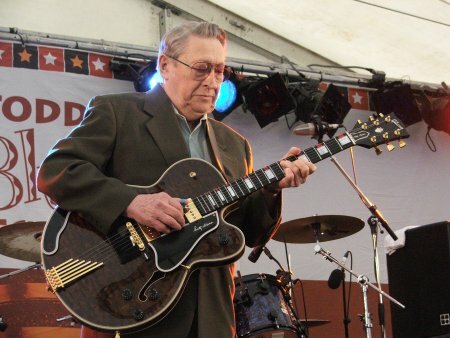 That July was honored by a gathering of UK guitar legends in Sir George Martins studio while Gibson Guitars unveils the limited production Scotty Moore signature ES-295. 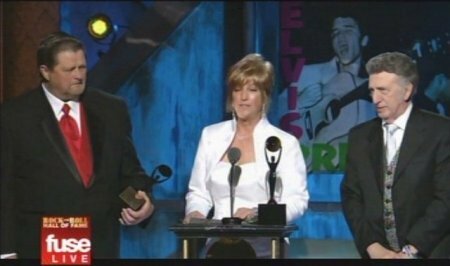 In 2000 Inducted into the Rock and Roll Hall of Fame at the fifteenth annual induction dinner. Mike Leiber and Jerry Stoller are the presenters. 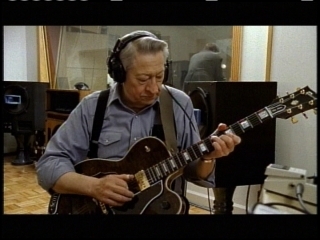 In April while in NY recorded segments for the "Good Rockin' Tonight: The Legacy of Sun Records" documentary/album with DJ and Paul McCartney (see additional footage ). 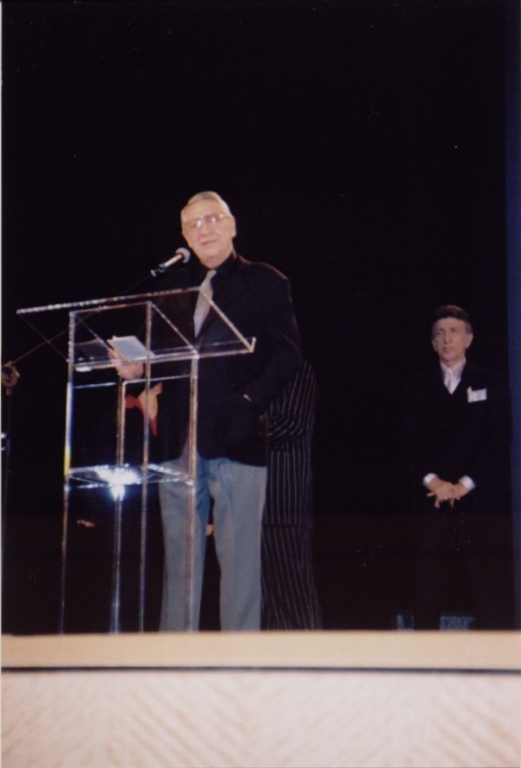 In 2002 wins and is presented with the Orville H. Gibson Lifetime Achievement Award along with U2 and Earl Scruggs. Also a major featured performer at many of the festivities surrounding the 25th anniversary of Elvis week in and around Memphis Tennessee. 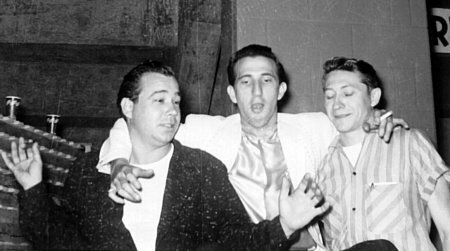 Until 2007 was busy recording and engineering at Belle Meade Records and periodically touring and performing with Lee Rocker, Ronnie McDowell and The Mike Eldred Trio among others. 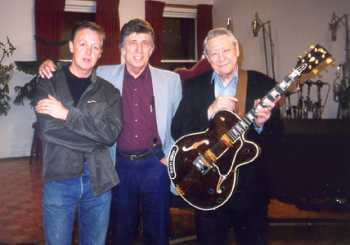 In early April of 2003 records an album in Nashville with Alvin Lee of "Ten Years After" along with D.J. Fontana on drums, Pete Pritchard on bass and Willie Rainsford on keyboards. The album was be mixed at Alvin's Space Studios in England and released in May of 2004. 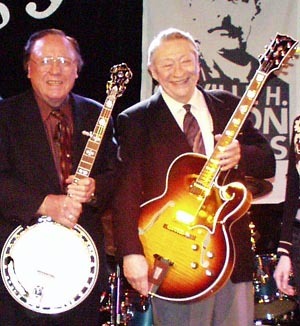 In December of 2003 is honored "inabstentia" by Gibson for his 50th anniversary of playing Gibson guitars with a co-celebration party for his 71st birthday at the Baldwin showcase in Nashville. 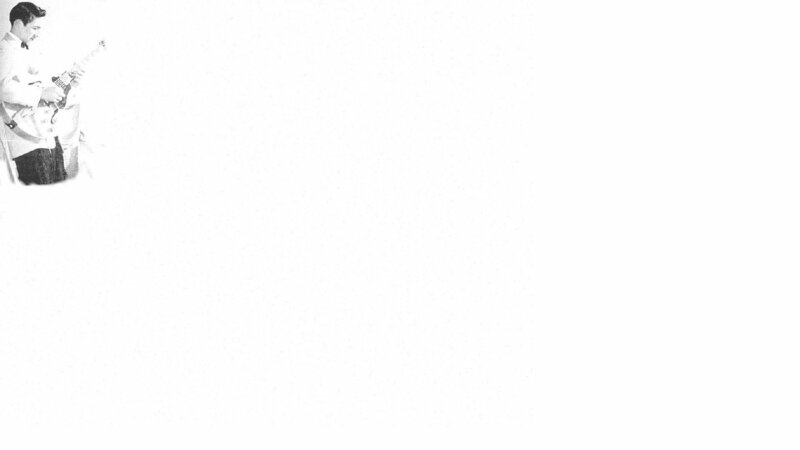 In April of 2004 was one of the first recipients of N.A.R.A.S. 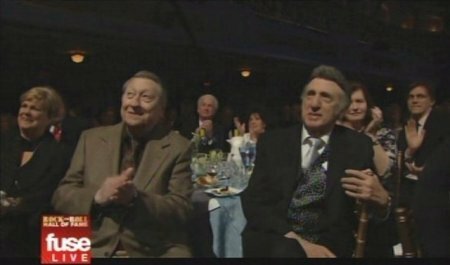 Memphis Music Heroes Awards along with bandmates Bill Black and DJ Fontana. 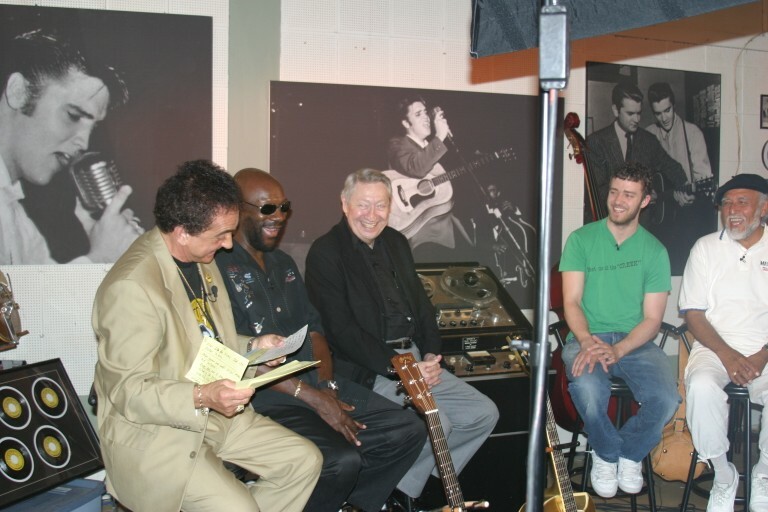 On July 5th of 2004 participated in the "Global Moment in Time" at Sun Studio in Memphis as part of the 50th Anniversary of Rock and Roll Celebration. In December of 2004 is honored by a collection of Britain's top recording artists that included Eric Clapton, Mark Knopfler, Ron Wood, David Gilmour, Bill Wyman and Albert Lee that gathered at Abbey Road Studios in London. He participated and the the event was filmed and recorded and eventually released on DVD. 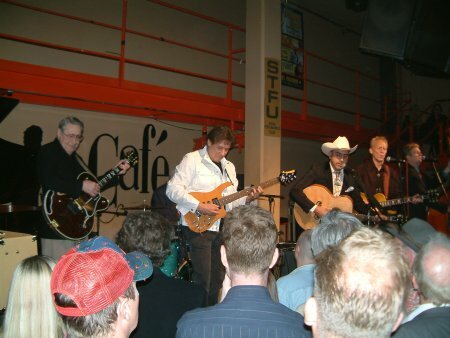 In August of 2005 Scotty did a small tour of Norway and the UK and performed what he considered to be his swan song in Europe on August 15 at the London Jazz Cafe. In the spring of 2007 Scotty produced 2 CDs in a collaboration of friends called "The Mighty Handul" Volumes One and Two. 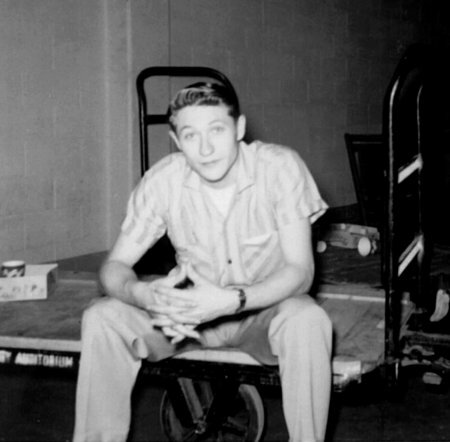 The first volume's release coincided with what Scotty has decided was his final public performance on August 15 at the "Last Man Standing" show during the 30th Anniversary of Elvis week in Memphis, TN. It came 2 years to the day after his last public performance (not appearance). 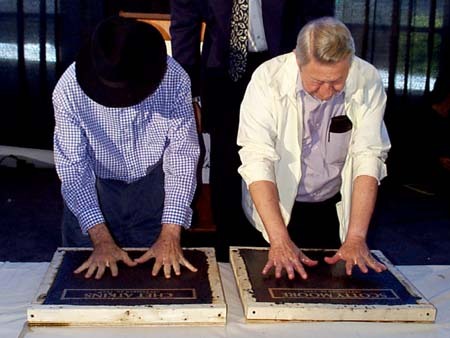 On November 26, 2007, as a member of the Blue Moon Boys, was inducted into the Musicians Hall of Fame and Museum in Nashville along with the Nashville A team, The Tennessee Two, The Wrecking Crew, the Funk Brothers and the Memphis Boys. 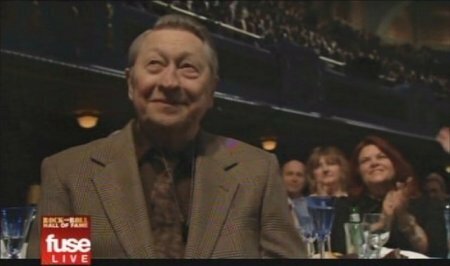 On April 4, 2009, Scotty attended the Rock and Roll Hall of Fame induction ceremony in Cleveland as D.J. and Bill were inducted into the sideman category. 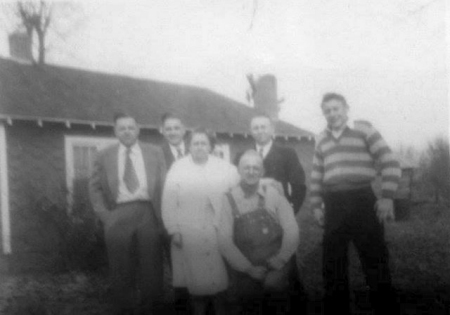 Accepting for Bill were his daughter Nancy (Black) Shockley and his son Louis Black. They were inducted E. St. band members Gary Tallent and Max Weinberg. 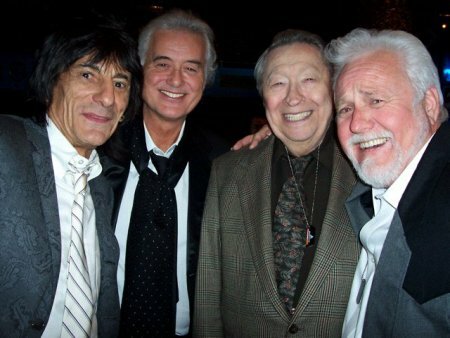 Also inducted at this time were long time friend Wanda Jackson and Jeff Beck. 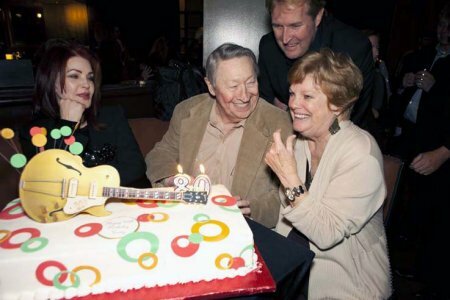 On December 27th, 2011, Scotty had his 80th birthday. He celebrated several weeks earlier in Memphis with a party thrown by his good friend Kevin Kane. 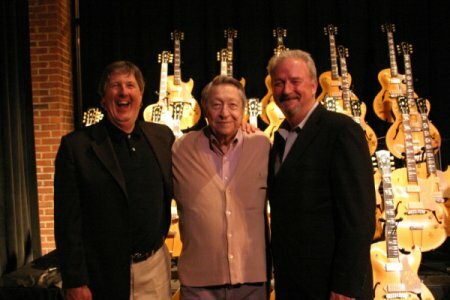 In August of 2013 Gibson sponsored a party for Scotty Moore in honor of the the release of his new book and the completion and release of the first batch of 81 Limited Edition Scotty Moore ES295 tribute guitars. 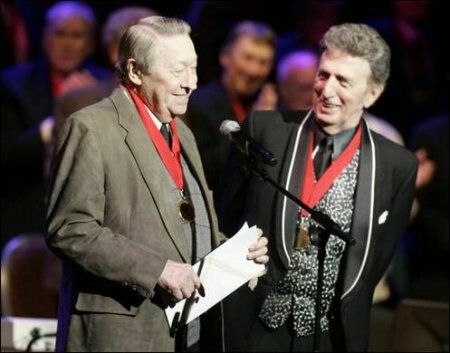 In January of 2014 Scotty was back in Memphis for an interview with the BBC for an upcoming celebration of the 60th anniversary of the recording of That's Alright Mama. 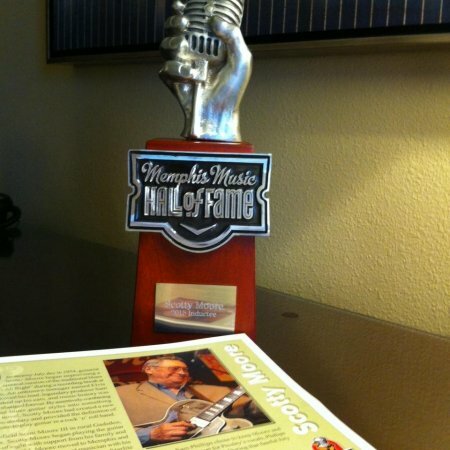 On October 17, 2015 Scotty was inducted into the Memphis Music Hall of Fame. 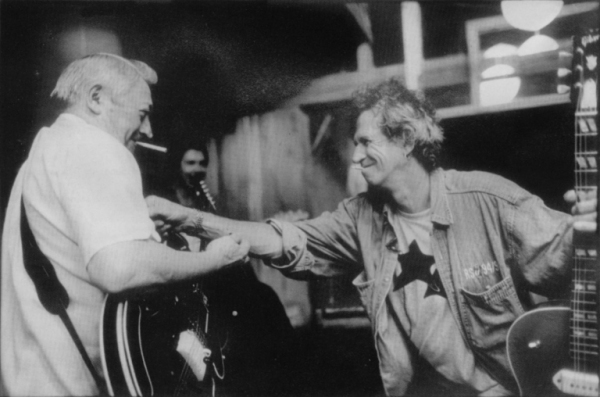 Though not in attendance, Keith Richards accepted the award on his behalf. In November of 2015, Scotty lost his long-time companion and partner, Gail Pollock. On the morning of June 28th, 2016, Scotty died, at home. His health had been failing for several months. He was buried June 30th with his parents in Humboldt, TN after a brief and private ceremony (see Funeral home obit and online guestbook). D.J. and his wife Karen were in attendance. 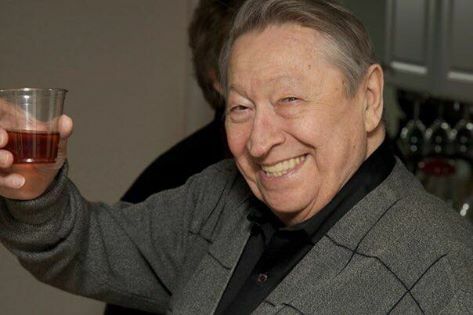 In addition to several family members he left behind many devoted friends and fans and a great legacy. Though we mourn his death, we celebrate his life.